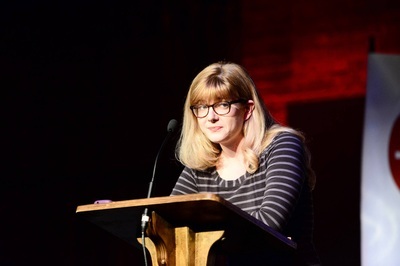 Rachel reads at Open Books in the Tuesday Funk series at the Chicago Writers Conference. Photo by Kevin Swallow. Rachel loves working with students of all ages. 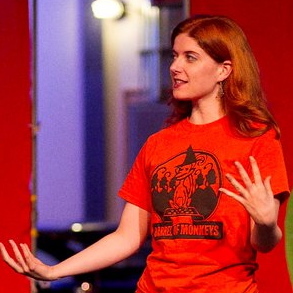 In more than a decade as an arts educator and artist in residence, she has taught writing and drama programming all over Chicago with Barrel of Monkeys, After School Matters, Pegasus Players, and other programs. She served as the Co-Director of the Literacy Department for STAR Education in Culver City, CA, and as a Barrel of Monkeys Lead Teacher and After-School Program Coordinator. Rachel has been proud to serve as a visiting author and mentor to student winners of the Write On! competition across Academy for Urban School Leadership (AUSL) schools. Rachel will be happy to visit with students (and adults) who have read Don't Touch. 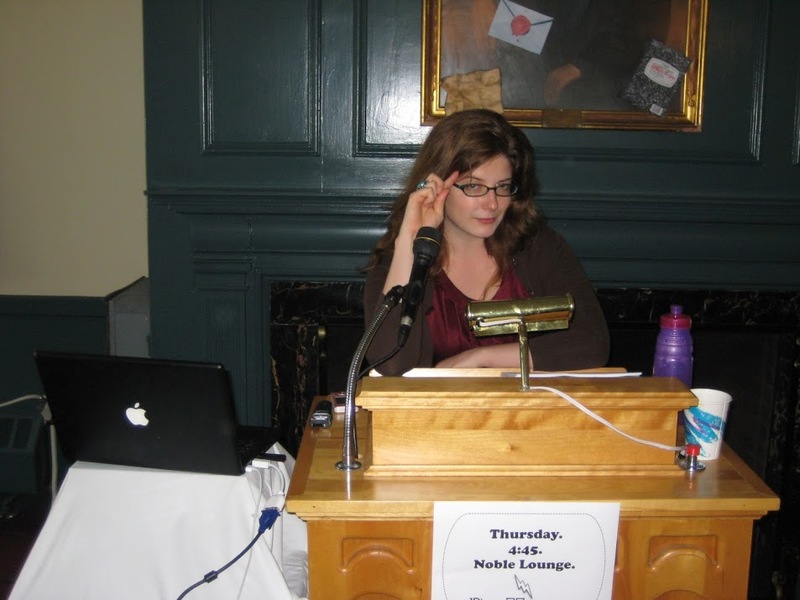 Please email Rachel to discuss in-person appearances and Skype visits! with Romina Garber, Sara B. Larson, Rebecca Serle, Lori M Lee, and me! Fourth Annual S3Q2 & Friends Retreat in Beverly Shores, IN. Debut Day for Rachel and Don't Touch! Rachel gave a talk at the Writing Novels for Young People Retreat at Vermont College of Fine Arts, "Permission to Play"
Don't Touch deal with HarperTeen announced in Publisher's Weekly! Signed with agent Sara Crowe! Graduate lecture in Noble Hall, VCFA: "Fantastic Wonder: A Balancing Act"
Scholarship Award Reading in Noble Hall, VCFA for the Critical Thesis Prize: "Growing Up Marvelous: Coming of Age and the Fantastic in Novels for Young Readers"